Tyler is making HUGE steps towards becoming a global sensation! 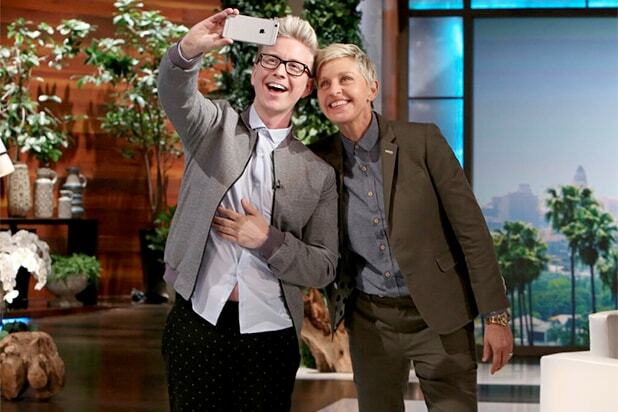 Not only is Tyler Oakley destined for greatness, but it's coming so fast that we hope you're actually going to be ready in time because he's just teamed up with one of the most recognisable and influential TV personalities of the decade - Ellen DeGeneres. The pair will be working together on Ellen's latest project, Ellen Digital Network, which was designed to expand her already huge digital audience and feature a wider range of talented artists and creators. The new network will draw together Ellen's already impressive cross-platform audience reach (more than 500 million video views in March 2016 alone) by showcasing more original programming and user-generated content. As well as bringing YouTube DEMI-GOD Tyler Oakley into the roster, the network will spotlight that viral video you may have heard doing the rounds a few months back including the phrase "Damn Daniel". “Damn, Daniel Boyz”: Ellen teams up with the creators of “Damn, Daniel", Joshua Holz and Daniel Lara, for an original series about the viral phenomenon debuting on Snapchat later this year. “She’s Brielle-iant”: Series for ellentube features Brielle Milla, the 4-year-old fan favourite from “The Ellen DeGeneres Show", showcasing her smarts on topics including the periodic table, the human body and world geography. “#MadeByYou”: Weekly series featuring user-submitted clips, ranging from sleepy pets to mess-making toddlers, on ellentube. “Epic or Fail”: Ellen’s favourite game to play on her show has become a new series for ellentube, hosted by shorts-wearing “Ellen” staffer Andy Zenor, showcasing user-generated videos and letting viewers play along in real time. 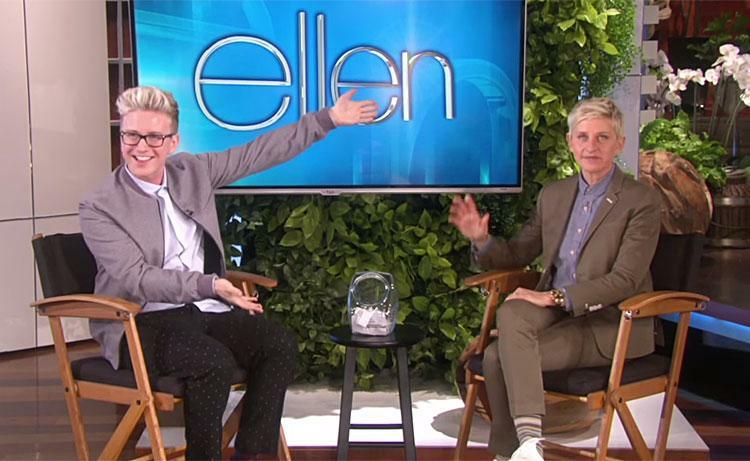 Talking further about her latest digital venture, Ellen says that she is "so excited for the Ellen Digital Network. I'll get to showcase amazing talents like Tyler Oakley and tWitch. Plus, I'll finally prove to the world that my pets can speak in human voices". There's no word yet when the project will officially launch or even what Tyler will be specifically involved in, but check back to the site in the future for any more updates on the story.